ATAP Bendix Parts Cleaner and Degreaser giveaway! Thread: ATAP Bendix Parts Cleaner and Degreaser giveaway! Let Bendix help you clean up! See your local ATAP store for more details. 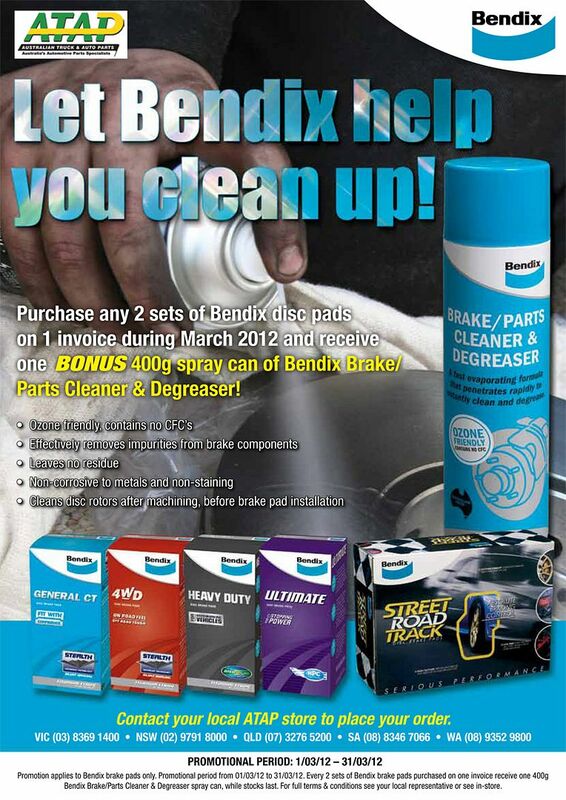 before buying your brake pads, give ATAP a call and get your self 2 sets of bendix pads and receive a bonus free 400g spray bottle of Bendix Brake / Parts cleaner. 2 weeks to go guys . if you already haven't drop into a ATAP store and pickup some Bendix pads and get yourself a free 400g spray bottle of Bendix Brake / Parts cleaner.